Note To Lottery Winners: Don't Tell Roommates You Won $10 Million Authorities have arrested a California man who they say stole his roommate's winning lottery ticket by swapping the real thing with a dud while the alleged victim slept. 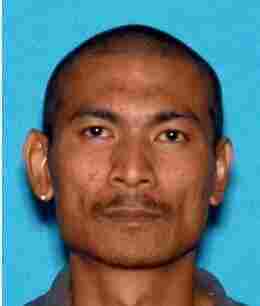 Adul Saosongyang, 35, was arrested on Jan. 7 for allegedly stealing a California Scratchers Lottery ticket worth $10 million dollars from his roommate. The last few weeks have been a roller coaster ride of emotions for a California lottery player who, on Dec. 20, believed himself to be the winner of a $10,000 prize. In the days leading up to Christmas, the man, who has not been publicly identified by authorities, bought a $30 Scratcher ticket at a local grocery store in his hometown of Vacaville, Calif.
Best case scenario, Vacaville Police Department spokesman, Lt. Chris Polen told NPR, the part-time restaurant worker figured any winnings above the cost would put a little extra cash in his pockets over the holidays. Worst case ... well, he never imagined that. Regardless, the man scratched away and, to his astonishment, realized he'd won $10,000. "He still wasn't sure so he went back to the same grocery store to have the staff confirm it and they said, 'yes, you're a winner,' " Polen recounted. Thrilled, the man went home and shared the good news with his two roommates. He stuffed the ticket in his coat pocket and went to bed. The next morning, the lucky man set out to collect his fortune at the Lottery's District Office in Sacramento. But when officials examined the ticket, they told him it was not a winner and that it had been altered to make it look like he'd won. "Right away, he suspected one of his roommates of stealing the ticket while he was sleeping and reported it to the police," Polen said. It turned out his instincts were correct. That same day, Adul Saosongyang, the now-devastated man's roommate, made the same trip to the Lottery District Office, hoping to collect the $10,000. That's when officials noticed all of the extra zeros on the winning scratch-off ticket, noting it was actually worth $10,000,000. But whatever dream of accepting a jumbo-sized check Saosongyang may have had, it was delayed. The California Lottery automatically launches an administrative investigation for any winnings over $600. And the probe quickly dovetailed with the Vacaville Police Department's investigation into the missing lottery ticket. "Once we saw that, it was clear what had happened," Polen said. "The roommate had tried to swap the winning ticket with a losing one that he had altered to make it look like the real thing." "It was just like the victim said it happened," Polen added. Meanwhile, for more than three weeks the wronged-man and Sasongyang continued to share a house with the two men behaving as if nothing was amiss. "I don't know how he did it," Polen said. "I guess if you know you've got $10 million waiting for you on the other end of it, you can just pretend everything's okay for a little while." 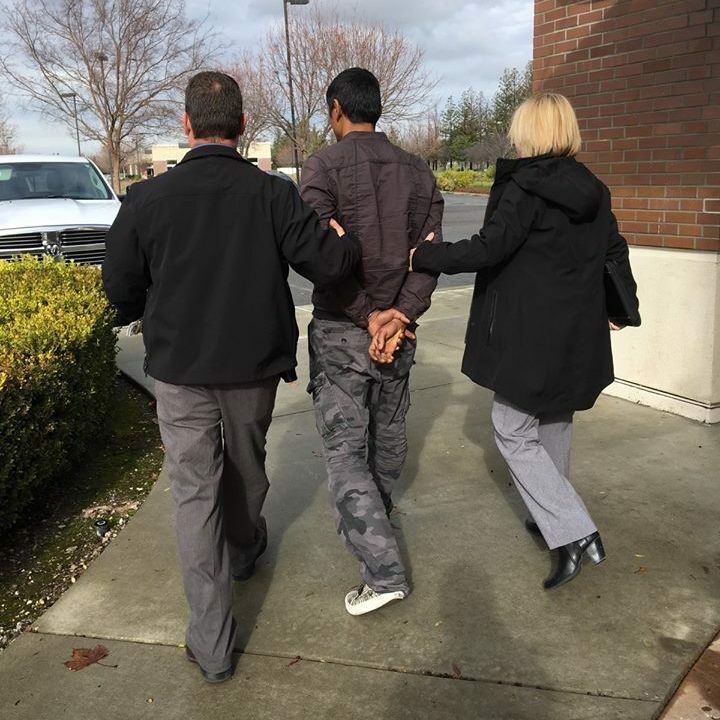 Two Vacaville police officers finally arrested Saosongyang on Jan. 7, with the help of Lottery officials who lured the suspect back to the Sacramento offices to collect his winnings. But instead of walking out with fistfuls of money, he left with his hands clasped behind his back. Saosongyang was arrested for grand theft and booked into Sacramento County Jail. According to police, he does not yet have a lawyer. Russ Lopez, a spokesman for the California Lottery, told NPR the case of the $10 million scratch-off ticket is not quite over. "It's been a very complicated thing," Lopez said. "We still have to determine that the first man – Saosongyang's roommate – is the rightful owner of the ticket. ... Then we can give him his money," Lopez said.